This afternoon on stage at the Web 2.0 Summit in San Francisco, I shared some very exciting news that I know the PlayStation Nation has been anticipating since we unveiled PlayStation Vita back in January. For those looking to get their hands on the ultimate in handheld entertainment, I’m thrilled to let you know that starting on February 22, 2012, PS Vita will be available at major retailers in the United States, Canada, Latin America, and Europe. Our first-party studios and army of publishing partners have been extremely hard at work to ensure that PS Vita launches with a vast library of titles that deliver unique gameplay experiences that go beyond any handheld or mobile device on the market. We have more than 100 games currently in development globally that span many different genres, including Sound Shapes, Resistance: Burning Skies, Uncharted Golden Abyss, Capcom’s Ultimate Marvel vs. Capcom 3, Ubisoft’s Assassin’s Creed, EA Sports’ FIFA, Activision’s Call of Duty, and numerous others that you’ll hear about in the months ahead. I’ve had the chance to spend some time with several of these titles and I think you’ll be blown away by how each takes advantage of the technology packed into PS Vita to deliver amazing gaming experiences. With its vibrant 5-inch OLED screen, dual analog sticks, dual cameras, and front and rear touch panel, PS Vita will deliver rich, immersive games with stunning graphics, which simply can’t be found anywhere else. Now you’ll be able to play shooters and action titles on-the-go with controls that are familiar, and you won’t have to block out the gorgeous screen to interact with the games. In addition to the deep portfolio of games, you’ll also have access to native social applications – near and Party – that help you connect with your friends and fellow PS Vita owners. We also recently announced that PS Vita will have your favorite social networking applications like Facebook, foursquare, Skype, and Twitter, so you can share and connect with friends. 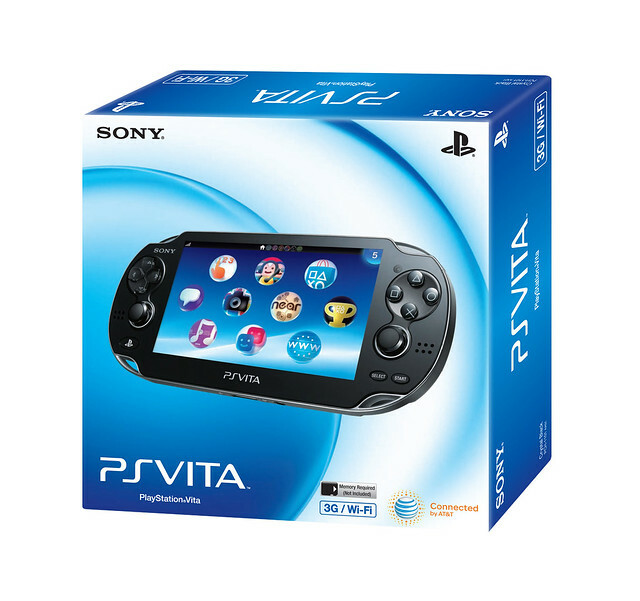 With PS Vita, you can enjoy the best handheld gaming experience available and stay connected to the people and interests you care about. It’s never been a better time to be a part of PlayStation Nation and I can’t wait for you to experience this revolutionary handheld system. Stay tuned for more exciting updates as we near the February 22, 2012 launch! Well that is certainly interesting, not even a year after the 3DS released in the west. It will be interesting but I don’t think I’ll pick one up at launch. I’ll wait for a big library of games I’m interested and a different color system. Come on Dark Blue!! !